Our PDH courses for Engineers are the best in the market. Thousands of PE Professional Engineers have taken our engineering continuing education PDH courses. Our PDH courses for Engineers satisfy all the State Board of Engineers requirements. Our PDH Courses for Engineers are in compliance with the NCESS (National Council of Examiners for Engineers) as they improve and expand Engineering knowledge. 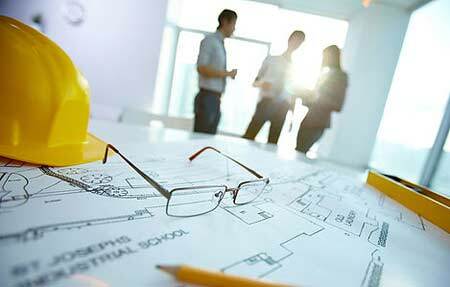 Our PDH courses for Engineers are in different categories. We have PDH courses for civil engineers, structural engineers, mechanical engineers, environmental engineers, electrical engineers and more. We also have PDH courses for some of the States that have specific requirements for the PDH courses for their PE engineers, such as Ohio, Nebraska and Illinois. We have time-monitored PDH courses and PDH webinars for Ohio PE engineers. We have online, on-demand webinar and live webinar PDH courses for Illinois PE engineers continuing education. We have time verified PDH Courses for Nebraska PE engineers and Professional Architects continuing education. We have CD/DVD PDH courses for PE continuing education. We have live PDH seminars for PE engineers continuing education. We are the only company that has live cruise PDH seminar courses in the United States aboard the cruise ships. We have ADA Accessible Design PDH courses for engineers. We have HVAC PDH courses for Professional Engineers and Contractors. We have Green Building PDH courses for PE Engineers, licensed architects, licensed contractors, licensed Landscape Architects and licensed Interior Designers. We also have Ethics PDH courses for PE engineers. We have Ethics online PDH courses in general and some State specific Ethics PDH courses. We have Ethics PDH courses for Alabama, Alaska, Arkansas, Florida, Illinois, Indiana, Iowa, Louisiana, Maine, Maryland, Michigan, Minnesota, Mississippi, Nebraska, New Jersey, New Mexico, New York, North Carolina, Oregon, Pennsylvania, South Carolina, Texas and Wyoming. During our live seminar PDH courses and live seminars in cruise ships we show Ethics videos in compliance with the State Board of Engineers. All Ethics PDH videos discuss different Engineering tasks, investigations, contracts or accidents. We also discuss different case studies, which resulted in accidents and injury to the public during our Live PDH seminars on land or aboard the cruise ships. - You can not have multiple certificates for your associates and other co-workers in your office or friends by purchasing one course. It's one certificate per purchase. - If you want to pay by check, print the screen when you are taking the quiz, take the quiz and mail it in with a check to our address. We will grade your quiz and fax/email your certificate after you pass.